Tire dressing is made to restore faded black rubber. After a car has been detailed, you want the car to look spotless in every way. You cleaned the arches, the wheels, washed the car and perhaps even gave it a new coat of wax. In that case, you also want the tires to look deep, dark black. A tire dressing is an (mostly) oily product that helps to bring back the deep dark color of rubber. 1 Why use a tire dressing? Why use a tire dressing? When tires get dirty or slowly start to fade a bit, they can turn more grey than black. This gray color has a low contrast with light color paintwork, and a very slight color difference with dark color paintwork. This can either be caused by dirt and grime, which means that a good clean is enough. But it can also be caused by faded/worn rubber. A tire dressing helps to bring back the deep black color of the rubber, making it look more like when it was new. The dressing group are solventborne or waterborne that combine certain carriers with high refractive indexed oils. The oils soak into the rubber while the water makes a cheaper and easier carrier that doesn’t evaporate (reducing the chance of dried up residue). The wax group are specially formulated wax mixtures that act in a similar way as shoe-polish does. You rub it on, leave it for a little while and then buff/wipe it off. The sealant group is a synthetic polymer mixture that creates a flexible layer on top of the rubber which can sometimes penetrate the top layer of the rubber. Some people simply prefer shiny black tires, others rather go for the satin look and others choose the matte effect. Certain manufacturers also combine these 2. If you wipe it on and leave it, it will go glossy. If you wipe it off after a minute or two, it will become matte. This gives the customer more control over the finish. These product can be made into several different type of products. The most common form of dressing is an emulsion of oily ingredients with water. These oily ingredients are the main reason why dressing work like they do. The main purpose of water (or any other carrier) is to make the solution less concentrated and a bit more economical. The oily ingredients (sometimes mixed with polymers) will saturate the porous surface of the rubber and fill in the microscopic gaps. This causes the light to be refracted in a different way. What we see of this result is a deeper color. The manufacturer can choose to give it a shiny, satin or matte look. Because the finished layer of dressing is very thin and made of ingredients that are liquid at normal temperatures, they will not last very long. 1 application of dressing will on average only last weeks. Applying more then 1 layer on properly cleaned tires can make it last a bit longer. Similar to how shoe polish works, these specially formulated wax products contain very different ingredients to car wax. They usually offer a satin to matte look and need proper preparation to last long. If applied to a dirty tire, the dark look will only last days to weeks. If applied to a properly cleaned tire, the wax will last weeks. The downside is often that wax needs more work to be applied. The tires need to be properly cleaned, then applied and then buffed off. The advantage is that the product is much more easy to remove when needed. A rare form of dressing, but one that is becoming more popular lately. They are actually a specially formulated blend of polymers that leave a coat on top of the rubber. It binds superficially to the surface and forms a flexibel coating on top of the rubber. 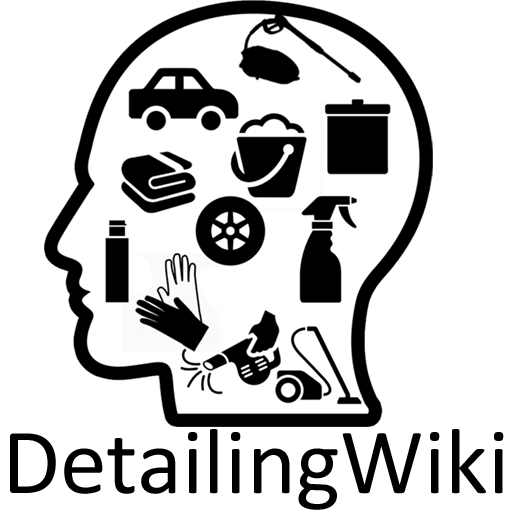 The most known brand is also the best performing brand. With proper preparation, this dressing can last up to 12 months. The main downside is the costs and the amount of work that is needed to apply it correctly. When preparation hasn’t been done correctly, the sealant will only last weeks. 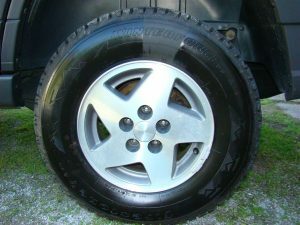 Apart from a cosmetic appeal and enhanced look, the use of a tire dressing does not serve a practical purpose. 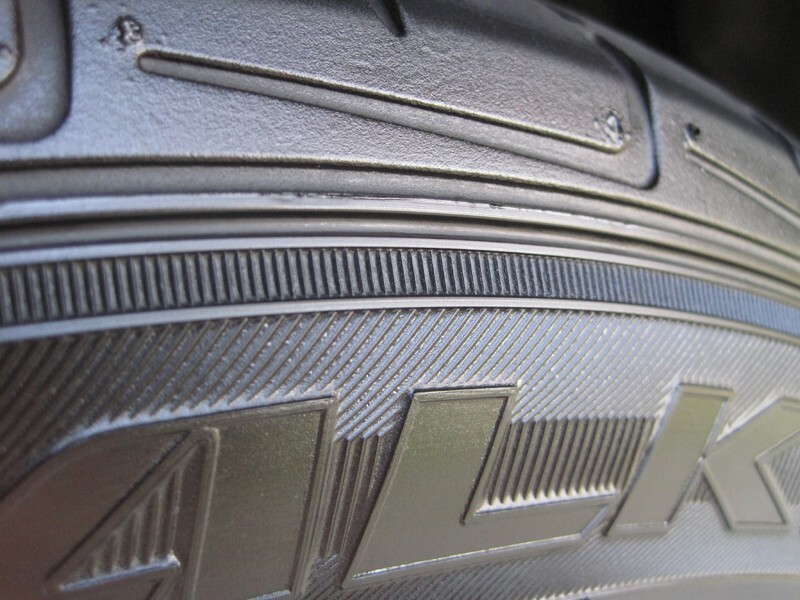 Tires are made of rubber, and this rubber will start to vulcanize from the moment it is made, it will also dry out during it’s lifetime. Tire dressing can hide this effect, but not prevent it. In the best case scenario you’ll just make worn tires look better. The big drawback is that car salesmen have a habit of using dressing to hide worn and even slightly damaged tires. The dressing makes the tires look good and almost new again, even when they are almost gone. An uneducated customer will think that the tires are in great shape, and will only realize the mistake when it is to late. There is another problem with solvent-based dressing, because they can actually damage the rubber in such a way that it increases structural wear. The tire will crack quicker and turn brown much more easily. It does take a long time for this to become apparent, but once it shows, there is no way to repair this. Solvent-based dressing are almost always sold in spray cans.